There are billions of different chess moves waiting to be played. If you are a novice player it is hard to always know whether the move you are about to play is a good one. Indeed, it is impossible to suggest a general rule which would allow you to predict how strong the move is with 100% accuracy. If it was possible, becoming a grandmaster would only take few weeks, not many years. 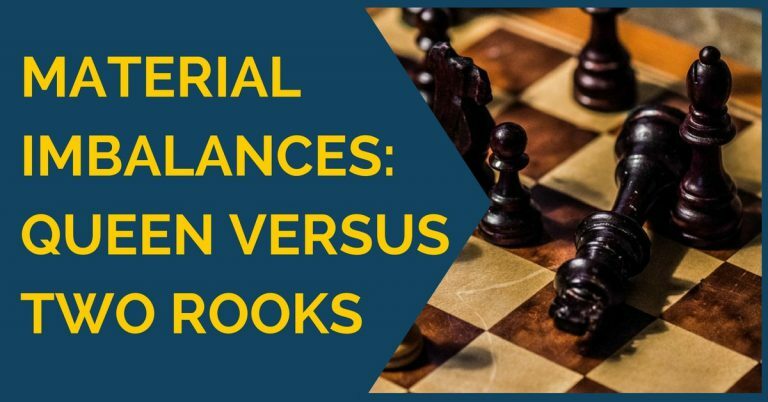 However, it is possible to understand few very important general patterns which are very common at chess and will help you to make right decisions in your games and develop your chess methods. What’s wrong with this move? Isn’t queen the strongest piece on the board and we should employ it as soon as possible? This example covers two very important chess concepts. First concept is not bringing the queen too early. If you do, you may find yourself few tempi behind, running away from various threats. The queen is so valuable that any threat results in retrieval of the queen, wasting tempi, instead of developing pieces. If your opponent is a good player, he will use your queen as a target for developing his own pieces quicker. Another issue with developing the queen too early is not knowing exactly where to position it. Since in the early opening stage it is unclear what kind of position you expect, it’s recommended to postpone queen development till when it is clear to where it should be developed. Coming back to the example above, the f3 is one of the worst squares to develop a queen to, because it also takes away this precious square from g1 knight. Now the knight has no good squares to go to. That in turn delays castling and makes white’s pieces disorganized. Solution: don’t develop the queen early in the opening. Give priority to knights and bishops. Once that is done and the king is castled, you can develop the queen. Indeed there are positions when you should develop your queen early, but those are mostly exceptional cases. Every player knows that castling is needed to put king into safety while connecting the rooks. The purpose of those pawns in front of the king is keeping him safe. Once those pawns move, the king’s safety becomes compromised. Depending on the position you can evaluate the consequences of moving those pawns. In the example above the g2-g4 was played. 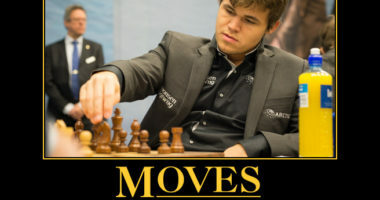 You don’t need to be a grandmaster to understand that this is a bad move. Not only the g-pawn leaves the king, becomes vulnerable, and stops protecting the f3-knight but it also creates a weak square complex on h3, f3, and h4 and f4. This move is a huge positional mistake, no matter what was the thinking behind it. Solution: think carefully before you decide to move any of the pawns in front of castled king. Pawns don’t go back and any changes in the pawn structure are permanent. A rule of thumb here is “do not move those pawns guarding your king, unless you must do so”. Always try to find an alternative way to deal with the issues, without compromising the pawn structure, especially if your king’s safety is at stake. Everyone knows that a knight on the rim is dim. That’s not only true because of the number of squares the knight can defend. 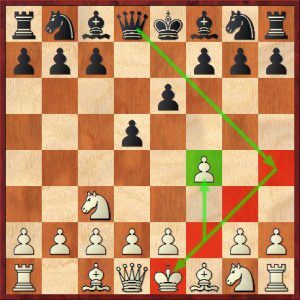 In the example above a move Nh3 was just played. The white’s idea is simple. He wants to develop a knight and bishop following by king’s side castling. There is a problem though: the knight on h3. Not only it’s inactive, but also a target. If white castles short, black would happily exchange their light square bishop for the h3 knight, ruining the white’s pawn structure and exposing the king. Even if the knight is immediately captured, it is still a weakness and can get stuck on h3 for a very long time. Solution: do not develop your knights on squares like h3 and a3, especially if they can be captured and you are planning on castling. The general rule when it comes to the knights is keeping them as close to the center as possible. Remember, knights at the center, bishop on the flanks. It is well known that f2-square is very vulnerable in the opening as it is protected solely by the king. Two of the most common checkmates are based on this idea: scholar’s mate and fool’s mate. You should always be very careful while pushing any of the pawns surrounding your king. You should be especially cautious pushing the f-pawn. Not only f2 square becomes weaker, it also compromises the whole e1-h4 diagonal. Playing this move calls for early opening trouble, and is not recommended for most players. Solution: take care of the f2 square and the e1-h4 diagonal by not moving f-pawn, developing the knight to f3 and castling. Pushing side pawns is one of the favorite things to do for many amateur players. They love playing moves like a4 and h4. Some even know that those moves can be used for activating the rook via a3 square. The problem of these types of moves is that they don’t aid with development of pieces. While e and d pawns are back on original squares the bishops cannot be developed. There is also an option of fianchetto, but that cannot be accomplished with a and h pawn moves either. No one likes playing behind in development. If you want to be able to show your best chess in the Middlegame, first you need to survive the opening, making sound moves. Solution: start your games with d4 or e4 openings, or by first developing the knights. Stay away from a4 and h4 pawn pushes. One of the key ideas of many chess openings is controlling the center. If you have control of the center it is much easier to develop pieces, re-position them and both attack and defend. That’s why the one with the central control usually possesses space advantage. Take a look at the diagram above. There is a dramatic difference between white’s and black’s positions. White played passive moves a3 and h3. Black capitalized on opponent’s inaccuracies and obtained full control of the center with both e and d pawns. Notice how many squares black controls in the center. Needless to say, after such an opening white would be the one struggling with lack of space and passive, badly placed pieces. Black at the same time will have good time developing and preparing to attack. It’s almost like white and black switched places, and black already has an upper hand. Solution: don’t play passive moves in the opening. Always try occupying the center and developing your pieces to active squares. Castling is indeed a good idea, but there are some cases when not castling is a much safer option. In the diagram above you can see one of those positions. The white’s king’s side is ruined with doubled pawns on the f-file. The black’s knight and queen are dangerously close. Castling there would almost look like a suicide. When making a decision whether to castle or not, you should take safety of your king into account. In this position it would be much safer to castle queen’s side. 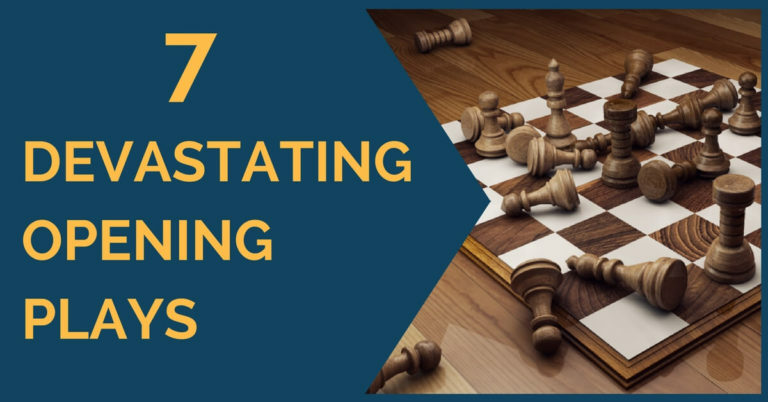 Castling short, even though possible in one move, will lead to immediate disaster. Solution: Avoid castling if too many of the opponents’ pieces are active on one side of the board. Avoid castling if the pawn structure on that side is severely damaged.